If you need a batch of business cards and you don't have time to order a finished set from the printer, consider printing a few of your own. It's easy to print a batch using a package of perforated Avery business card stock and a pre-formatted template. Use one of the four printable templates below and you'll have a set of cards to use in no time at all. Each of the printable templates is an easy-to-use fill in PDF form designed specifically for use with Avery brand business card stock. Select the template that you want to use. 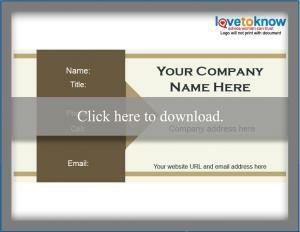 Click the image you choose to download the full template, which will open as a PDF file in a separate browser tab. 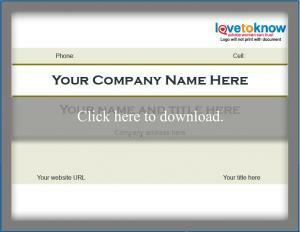 Fill-in your company and contact information in the top left card on the page, clicking on each field to type. Note that the information you enter into the first card will automatically be entered in the other cards. If you select a card style that includes a logo, click the logo field and navigate to where the logo image is stored in your computer or external storage device. Place Avery business card stock in your printer. Click the printer icon on the menu bar on the top of your screen to print, or press Ctrl+P on your keyboard. If you'd like to save the completed template, click the diskette icon on the menu bar or press Ctrl+S on your keyboard. If you need help downloading the printable templates, check out these helpful tips. 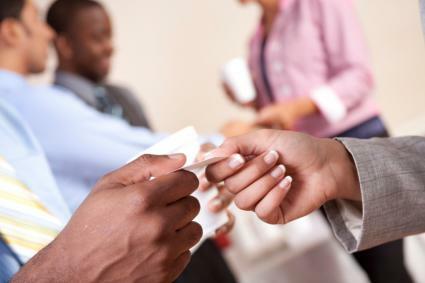 Printing business cards using a template and perforated card stock is a quick fix when you need business cards in a hurry, but this option does not have the same level of professionalism as professionally printed cards. Using one of these templates is a good way to get a supply of cards to use until you can order a box of professionally printed cards, but it's best to place an order as soon as you can. There are a number of inexpensive business card options available.